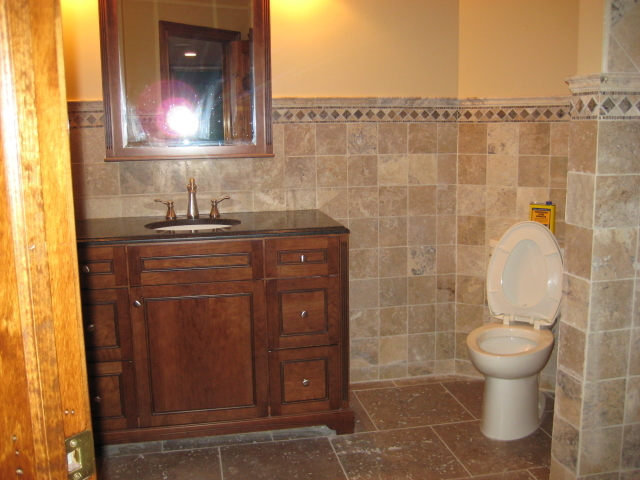 The Basic Bathroom Co. provides complete bathroom installation and remodeling services. Our design, production, and project management teams will implement our stress-free systems to ensure a seamless and worry-free bathroom renovation experience that will be completed in a timely fashion. 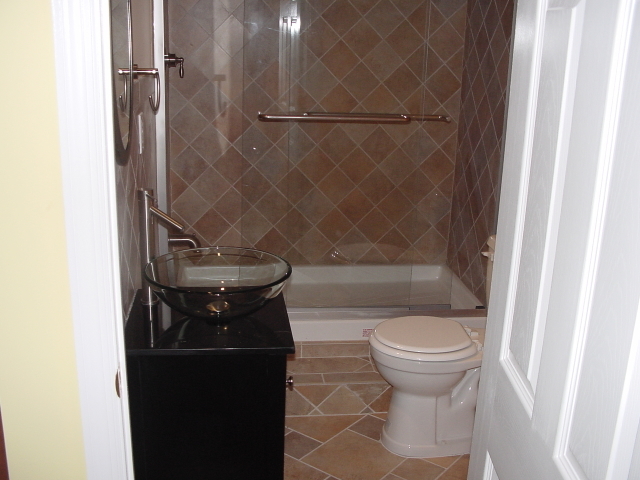 Let our years of experience in bathroom renovations help you create the bathroom you desire. And, whether you refresh or completely renovate this space, your remodeled bathroom will add new functionality and elegance to your home. With solutions starting at $4,499 for a 5 x 8 bathroom, we offer bathroom remodeling services for those on a budget, as well as custom designs and installations for homeowners considering a more distinctive look. 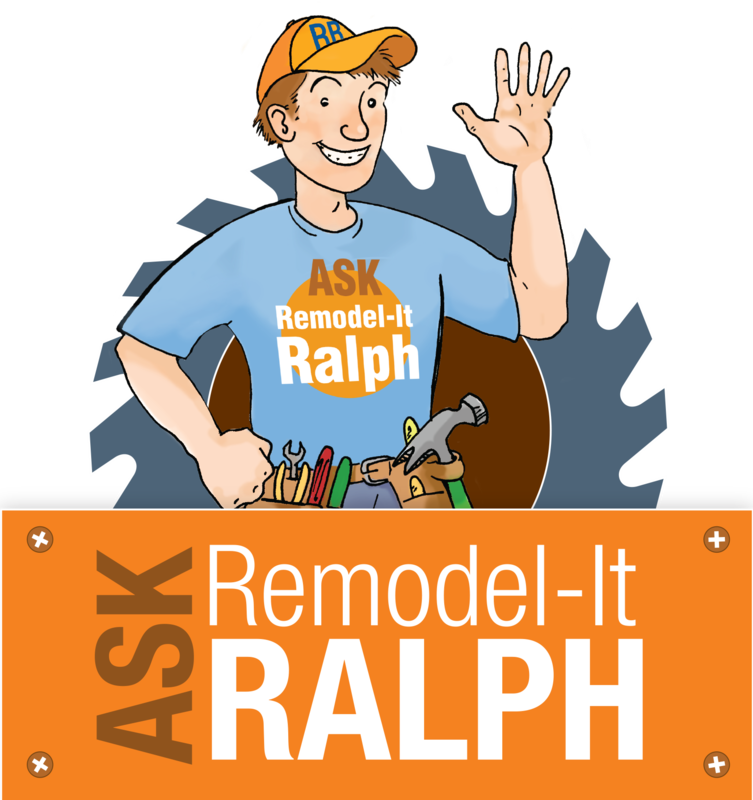 Our basic bathroom remodeling package includes removal of your existing bathtub/shower, toilet, surface mounted light fixtures, vanity, countertop, faucets, flooring, mirror/medicine cabinet, shower walls to studs, baseboard trim, and shower doors. And, it includes installation of a bathtub/shower base, toilet, faucets, shower/bathtub wall tile, shower doors, mirror/medicine cabinet, vanity, countertop, sink, flooring, baseboard trim, and towel rack/bathroom accessories that you provide. We provide the cement board walls for your tub/shower. Our full bathroom installation package – for only $9,999 – includes the toilet, vanity, countertop, sink, faucets, shower doors, tile, grout, sheetrock, painting, and bathroom fixtures (towel rack and toilet paper dispenser). Installation covers removal of old fixtures and replacement with new fixtures in the same location. We provide all material required for installation of these fixtures. Our team of experienced electricians and plumbers are licensed and insured. Custom bathroom upgrades, plumbing and electrical requirements, as well as bathrooms larger than 5 x 8, can be completed for an additional cost. For homeowners interested in reducing water consumption, increasing accessibility, and giving their bathroom a more up-to-date look, we offer Tub-to-Shower conversions – for only $2,499! This bathroom upgrade includes removal of your bathtub, tile, durarock, and sheetrock to expose studs. We supply and install cement board and a shower conversion pan as well as homeowner provided shower doors, shower diverter kit, tile, and grout. Many cabinet style options from leading manufacturer Timberlake in a variety of color-glaze combinations. Cabinet options are available in solid wood fronts – maple, cherry, oak, and hickory – as well as Duraform. Granite countertops in 15 styles. Sinks and toilets from American Standard and Bertch. Floor, wall, and border ceramic tile options from Mohawk. Glass sliding shower doors from Kohler. Chrome faucets and fixtures from American Standard and Moen. Find out how we can create the bathroom of your dreams. Learn more and schedule your FREE in-home consultation.